App developers use various tactics to win users and increase app downloads but often miss out on a simple growth hack. The growth of smartphones has given more power to the app user and In-app sharing has become a powerful tool for developers to tap. The only issue being, lack of knowledge around the concept.Here’s a quick look at how word of mouth can grow your app downloads by 36%* but before that let’s have a quick glance on its importance. 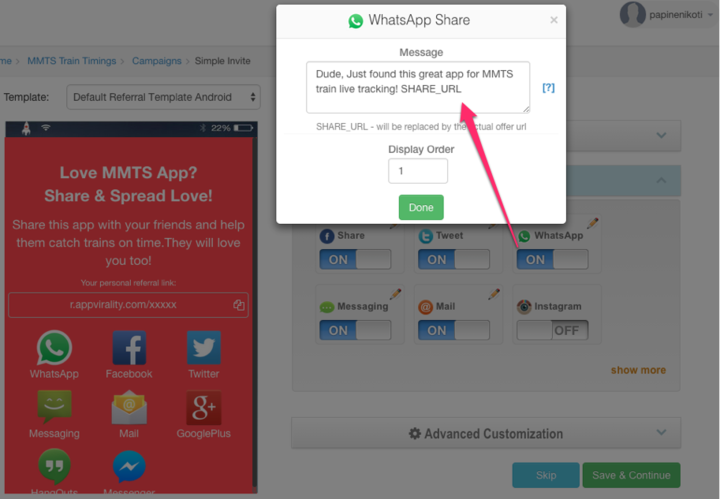 In-app share intent is an effective means to grow your mobile app since it improves the sharing experience, adds credibility and helps mobile app developers to share unique messages with their audience. 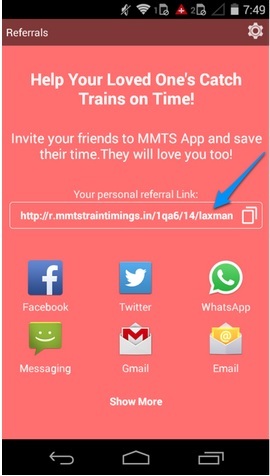 This means that newly launched apps can use social media platforms to create a buzz using In-app share intent. 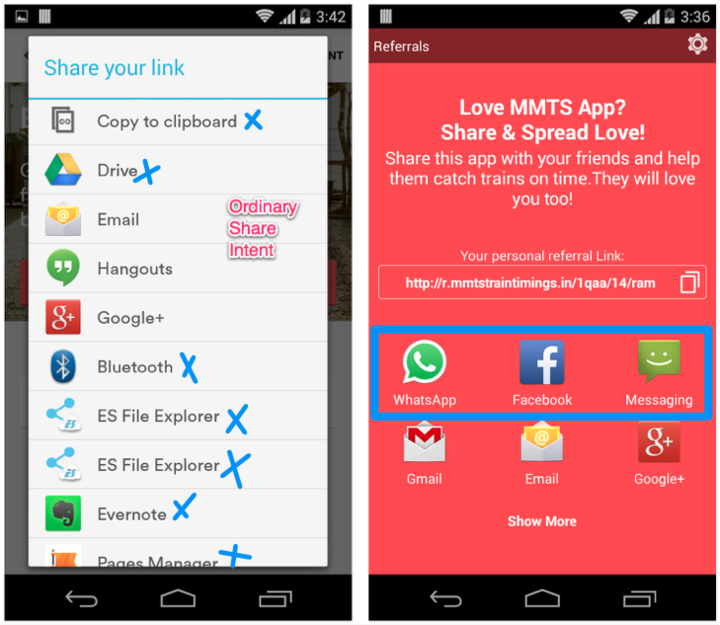 Look and feel of In-app share intent – Smartphones have a default share intent and the process to customize it is quite exhausting. Furthermore, this process needs extensive coding and may not be the best available option for an app developer. No control over social media buttons– In most cases the default share intent lists all the apps on the phone thereby distracting the user from sharing. Most app developers ignore this in the presence of rigid product deadlines and explore other complex routes to gain growth. No power to send unique messages to users– Most apps tend to share a similar message across all social media channels. But, having unique messages that converts better are key to success. For example, one should remember that Twitter is a public platform and WhatsApp is a one-to-one channel. Thus, having targeted messages for both helps convert users better. But again, this needs that extra bit of effort from developers. Coding can be an extremely time-consuming task and developers might want to spend more time building core product rather than working on cosmetic features like these. Re-publish on playstore– A developers may take out time and use the ‘do it yourself’ approach to modify the default in-app intent, even then the process demands re-publishing on playstore every time. App developers do not know the real value of share button in the absence of analytics– Though this is a lucrative growth opportunity, most mobile app developers/marketers are clueless about its outcome. Developers have little or no idea about metrics like number of invites sent, the number of clicks generated, installs generated, who are the top influencers driving you more installs, etc. In the absence of analytics they end up tracking only a few metrics thus limiting their growth. AppVirality’s In-App Referrals feature provides a unique solution for the above-mentioned challenges, with a plug and play approach. Furthermore, the entire solution is free from coding and can be used effortlessly. When was the last time you shared an app on WhatsApp without having to scroll the default intent? How about an option that helps you to decide the display order of each social action? This is important to keep your user engaged without them abandoning the process of sharing midway. Every app developer should realise the importance of real estate/ space in mobile apps. Since social share button provides huge data to analyse the growth your app, it is important that much weight should be given to them as well. • Clicks – Number of clicks generated from those invites. 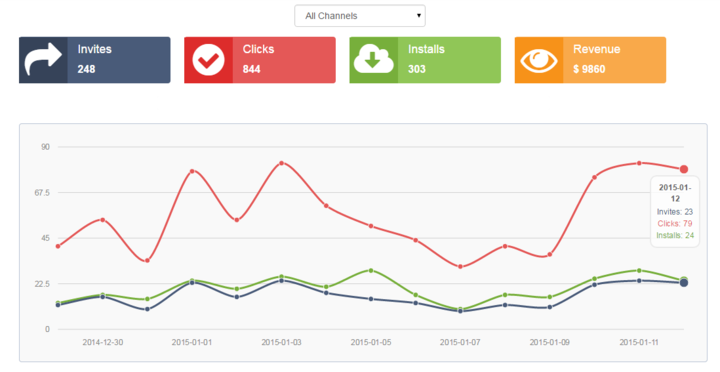 • Installs – Number of app installs generated out of those clicks. • Revenues – Revenue generated in total or from each of those share/invite links. • Influencers – Identify top influencers generating more installs or revenues and treat them special. Can you imagine a unique share link with the user’s name in it? Integrating with the 25KB AppVirality SDK helps you to personalize the link for each and every user, who’s sharing your app. It also helps you to track analytics for each user giving more clarity while segregating data. Will you send the same letter of invitation to your boss as opposed to your best friend? It’s very usual that most of us push the same text into all social media channels by default. This isn’t an appropriate step considering that most social media platforms are different in terms of expression and followers. For example, our friends on WhatsApp are closer to us as compared to our followers on Twitter. Hence, it makes sense to send them a personalized message in line with the platform of choice. AppVirality’s DIY (Do It Yourself) dashboard helps developers to turn on or turn off the desired social actions. What’s more one can also decide the unique messages that users should share via each social media. One can also change / optimize the messages anytime by just logging into AppVirality dashboard. Furthermore, app developers don’t have to change the code or update the app while doing so making the complete process entirely hassle free. Rewards are intrinsic to a referral marketing campaign, and AppVirality does not limit it. 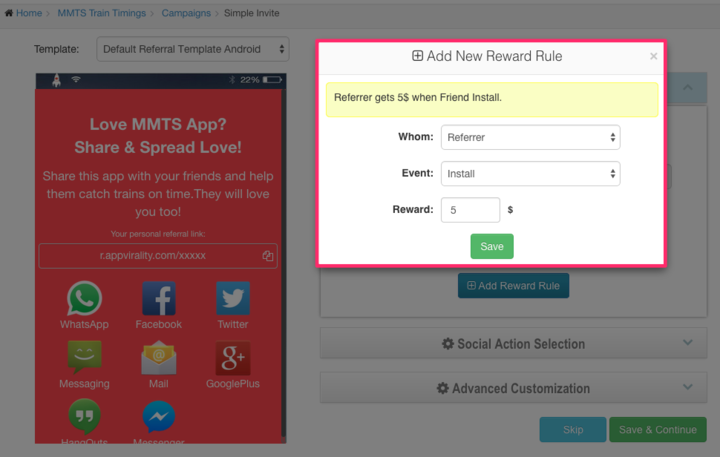 Should you like to reward your users for referring their friends, just login to AppVirality dashboard and add reward rules into the same campaign that you created to transform the normal share intent into Uber/Lyft like in-app referral system. Sounds compelling? Most apps today can benefit from using these tactics to increase growth for their app. Whether you are an E-commerce major or an app with utility, our approach is to offer customized growth hacks for you to scale your business without wasting your valuable time and money. To get a free consultation, drop us a line below or at growth@appvirality.com!